Recently, I’ve turned to Instagram as a case study of what’s happening in fashion—a hobby that’s only grown over the last few years. It’s amazing to me, watching trends emerge and then explode across the iPhone app, often spreading within a matter of days after I first spot them. Take leopard pieces, for starters. While it was predicted to be a big trend this fall, I couldn’t have known just how huge the print would be until I saw it spread across Instagram and cause a sellout frenzy for one of the most in-demand pieces we’ve spotted all year. Now, the print in all of its variations is a bona fide It piece among the fashion crowd. 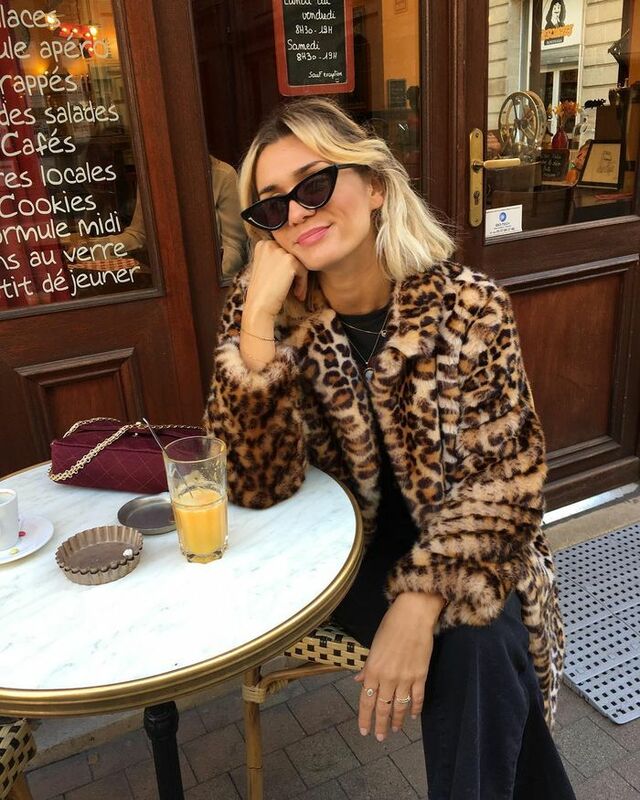 As the leopard trend continues to be very much in demand, there are other fashion pieces that are highly coveted in the fashion circles as well. Ahead, I’m highlighting some of the latest arrivals to the It-piece landscape. Scroll down to see how fashion girls are wearing them and to shop my edit of pieces to add to your shopping cart. The leopard trend exploded over the summer but has shown no signs of slowing down. There’s no denying that leopard is the print of the season, which is why we’re in love with these ankle boots. I'm basically a broken record at this point but can't deny my love for crystal earrings—I've been wearing them on repeat on my Instagram. Feather details are the extra element you'll want to add to your wardrobe right now. And yes, they're the perfect addition to your holiday wardrobe. Heart jewelry is the cool-girl trend I'm 100% behind. It's fun and not too serious, everything a cool accessory should be. Did you ever expect cardigans to be a coveted item? Well, they absolutely are right now, but the cool-girl factor involves how they're styled. Go for a cropped version of an oversize style worn braless and buttoned just at the top à la Bella Hadid. Dramatic fur-trimmed coats are the fun winter piece fashion girls really want to wear. Bonus points if they involve colors like lavender or buttercream. Is slime green the color of 2018? I'm placing bets on yes.